McGraw-Hill. Hardcover. GOOD. Spine creases, wear to binding and pages from reading. May contain limited notes, underlining or highlighting that does affect the text. Possible ex library copy, thatâll have the markings and stickers associated from the library. Accessories such as CD, codes, toys, may not be included. 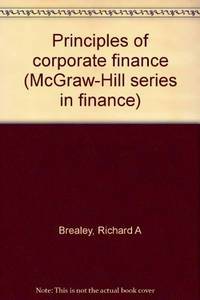 McGraw-Hill Companies, The, 1980. Hardcover. Very Good. Disclaimer:A copy that has been read, but remains in excellent condition. Pages are intact and are not marred by notes or highlighting, but may contain a neat previous owner name. The spine remains undamaged. At ThriftBooks, our motto is: Read More, Spend Less.Dust jacket quality is not guaranteed. McGraw-Hill Companies, The, 1980. Hardcover. Acceptable. Disclaimer:A readable copy. All pages are intact, and the cover is intact. Pages can include considerable notes-in pen or highlighter-but the notes cannot obscure the text. At ThriftBooks, our motto is: Read More, Spend Less.Dust jacket quality is not guaranteed. McGraw-Hill Inc.,US, 1980. This book has hardback covers. Ex-library, With usual stamps and markings, In poor condition, suitable as a reading copy. No dust jacket. McGraw-Hill Inc.,US, 1980. This is an ex-library book and may have the usual library/used-book markings inside.This book has hardback covers. In poor condition, suitable as a reading copy. McGraw-Hill Inc.,US, 1980. Re-bound by the library.This book has hardback covers. Ex-library, With usual stamps and markings, In poor condition, suitable as a reading copy. No dust jacket. 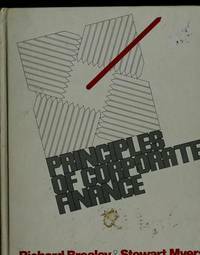 Blacklick, Ohio, U.S.A.: McGraw-Hill, 1981. 794 pp. White gloss boards have light wear. Notation on fep and contents page. Text is clean with no markings. . Hard Cover. Good/No Jacket. 4to - over 9¾" - 12" tall. Textbook. McGraw-Hill. Hardcover. 0070073805 Like New Condition. . Fine. McGraw-Hill. Hardcover. 0070073805 New Condition. . New.